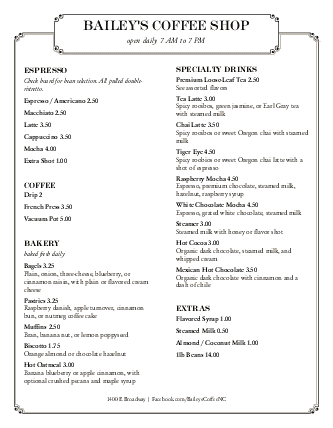 An old fashioned designs sets this coffee board menu apart. 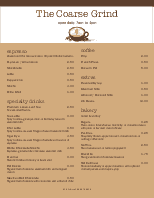 On the top of the menu there is an emblem to hold the coffee shop name and other supporting text. 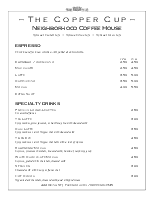 Two columns present coffee house listing, with old timey text menu headers. 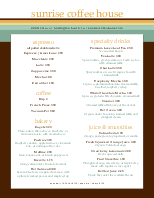 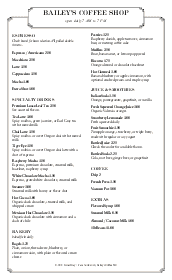 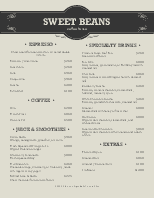 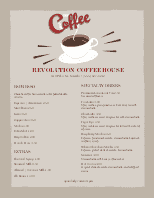 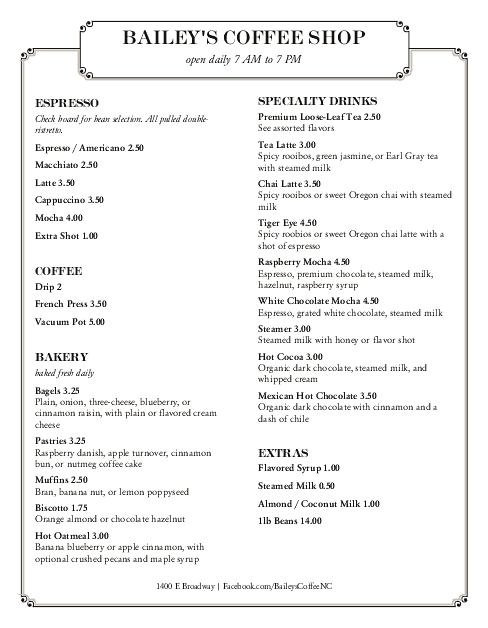 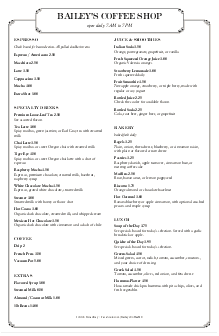 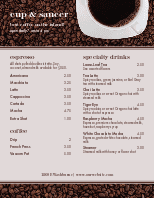 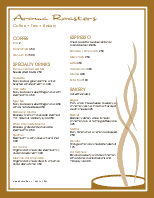 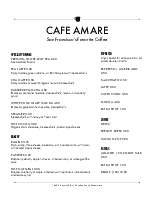 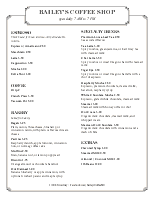 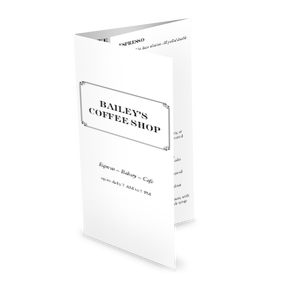 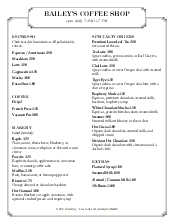 This coffee menu can be updated online using the Menu Editor, our menu software.